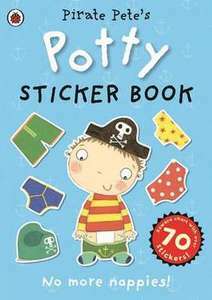 You dont need this book, you need my toilet training song. Tinkle tinkle little pee On the toilet I must wee If I need to do a poo, I must do it on the loo Tinkle tinkle little pee On the toilet I must wee. Published under a creative commons licence. Rubbish - not one Miss World photo in the whole collection. I've listened to these on audio book. A great set of books indeed! Highly recommend! Thank you. Didn’t order these books but used the codes against 2 other books my daughter was after. Both the codes don't work. Just loading when trying to add to basket? Thanks OP, just ordered. If you use code PETAL20, it’s £9.59 delivered. Couldn't they have had sensible names, Rita, Sue and Bob too? when you are finished with them give them to your kids school, they are desperate for new books no matter what we are told by the government. RABBITDEL didnt work, but got to use TULIP10 for 10% off. Fantastic, ordered £64 of books, including free delivery (no code needed) and Jamie Oliver cookbook (code BEST40 as spent over £40). Looking forward to reading my kid the Peter Rabbit collection! The Grufalo films are really good! Bought this. Quick delivery. Was at Costco few days later. Can confirm. It was 17-18 at Costco hayes. I bought them for £20 last month from the Book People (from an HUKD deal). It's obviously still a total bargain even at this slightly higher price. I've genuinely read Fantastic Mr Fox to my six year old four times already. He even went to school on World Book Day dressed as Mr Fox! Thanks OP. Intended to buy this whilst the show was on TV. But as per usual I didn’t want to pay full price. Thank you for the heads up! Thanks for the code OP. I have used it to buy other books too. Bought a 6 book collection and art encyclopedia for kids for £11.98. Not bad! Seems to be working for me now too! Will amend the deal, thank you. I ordered at 20:05 using the code and it was £4.79 delivered. Paid with PayPal. Love watching Rick and Gordon Ramsey when they're on the road doing their cooking/travelling TV series. I just LOVE this deal! The boxes are adorable. I have the Guess how much i love you cases and have all of mine and my husband's love letters and cards over the last 27 years to each other stored in them. Founded in 1988 by Ted Smart, The Book People was initially established as a direct bookseller and relied on self-employed distributors who would visit potential customers directly in their workplaces and other meeting points. Initially, The Book People was operating solely out of its headquarters in Godalming, Surrey, but since then has expanded, with an office in Haydock and a customer service centre in Bangor. The company also acquired competitors Red House and Index Books as part of their expansion. Most booksellers operate on a “sale or return” basis, whereby any unsold books are returned to the publishers, who cover the loss of any unsold books. The Book People's business model is based around forgoing their right to return, meaning that they can purchase books at a much lower cost than their competition, and pass those savings on to their customers. This model has proven highly successful for The Book People and today the company has grown into an award-winning bookseller, providing customers across the UK and Republic of Ireland with discount books. 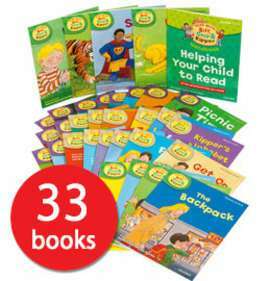 Children's Books – Whether it's fun fiction, first reads, activity books, or reference books, everything for your child is here. Non-Fiction – From real-life stories and biographies to recipe books and informational books. 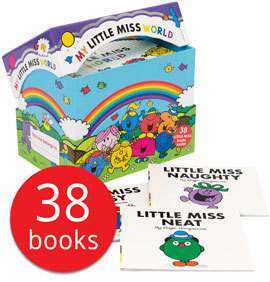 Collections – The best collections of fiction, non-fiction, children's collections and classic authors. Bestsellers – A collection of top novels hand-picked by The Book People's curators. 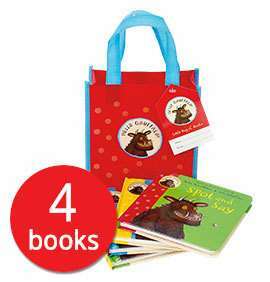 Gifts & Stationery – A host of non-book items with a creative twist including arts and crafts boxes and learning aids. The Book People regularly update their own Special Offers page and if you're looking for a bargain, it's well worth checking out the Flash Sale pages. The Clearance section is also a great place to pick up bargains at The Book People. It's a part of the site where the company offer huge reductions on prices for the last remaining stock of many different titles. Like many major companies, The Book People also participate in the Black Friday and Cyber Monday sales. This weekend in November is a great time to purchase discounted books at even lower prices than usual. To make a purchase at The Book People, it's necessary to set up an account. It's a simple process, requiring your name, e-mail address, postal address, phone number, and a password. The Book People accepts Visa Credit, Visa Debit and Mastercard payments, as well as PayPal. If you prefer to pay in a different way, there are several other alternative payment methods such as telephone and fax payments. The Book People offer all UK customers a Standard Delivery price of £2.95. If you want your books delivered faster, there is a 48-hour delivery option. You pay £4.95 and your book purchase will arrive within two working days. There is also a range of regular delivery discounts such as free Standard Delivery for UK customers for orders of more than £25. The Book People also deliver to most countries internationally. Contact the customer services team using the website or call them on 0345 6023030 to obtain a returns authorisation number. Complete the returns form on the back of your dispatch form and return the item by post. If it's a damaged product, you'll need to take a photo of the damaged area and send it to tbpsales@thebookpeople.co.uk along with the details of your purchase. To keep abreast of the latest news, offers and deals from The Book People, it's well worth following them on their various social media channels. You can also take a look at The Book People's blog as a way of keeping track of some of the biggest names in literature and publishing. For even more great deals, exclusive offers and news from The Book People, you can subscribe to their e-mail newsletter. In addition to all this, you'll find answers on the most frequently asked questions in the FAQs. To take advantage of some of the best online deals and discounts at The Book People, make sure to check out hotukdeals dedicated page.